Is Being Over 60 Old for Only Half the Population? There was an interesting moment on a recent BBC news programme when the journalist, the very well established broadcaster Jeremy Paxman was reporting on a news item about growing older and older people. (You can see more information on that U.N report here). Older people had been defined at being over 60. He made very plain his derision at the fact that over 60 is considered old, as well he might. He is 62 and his career at the BBC is flourishing and shows no signs of being restricted because he is an older worker. Maybe it would be more accurate to say because he is an older man. I tried to think of some women in a similar positions at the BBC, or in any mainstream news programmes. Obviously I couldn’t come up with any because older women are still very much discriminated against. The current team of women journalists at the BBC (and some of those who have gone before them, like Miriam O’Reilly) might say that if you’re female and working for the BBC 60 can feel a very redundant age. 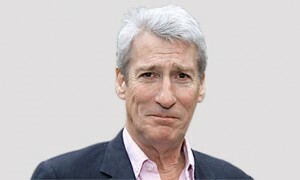 I’m pleased that the BBC has older presenters and I don’t want to see the likes of Paxo and Humphries taken off. I simply want to see more of my gender fairly represented on the screen too. The BBC is a our national broadcaster and has a huge opportunity to help change attitudes towards both ageing in general, and also to women. So far it’s been a bit one sided. But there are signs that change is afoot and more women are being found to give opinions and take part in debates. And more power to their collective corporate elbows. Ageism is still the last bastion of acceptable discrimination. We women do it to ourselves all the time everytime we look in the mirror and think “I look old” Or bewail losing our youth, or make comments about being too old, or refer disparagingly to someone as an old biddy who drives too slowly. We have a habit of putting ourselves down because we have been lucky enough to grow old (Think about the alternative). So how about trying to be respectful of people as they grow older? How about stopping putting ourselves and others down, or using being older as an excuse? How about growing old with delight, relishing our increased wisdom? How about applying that equally to both genders?